It’s Thanksgiving, and all I’ve got is this 8 cubic-foot refrigerator. 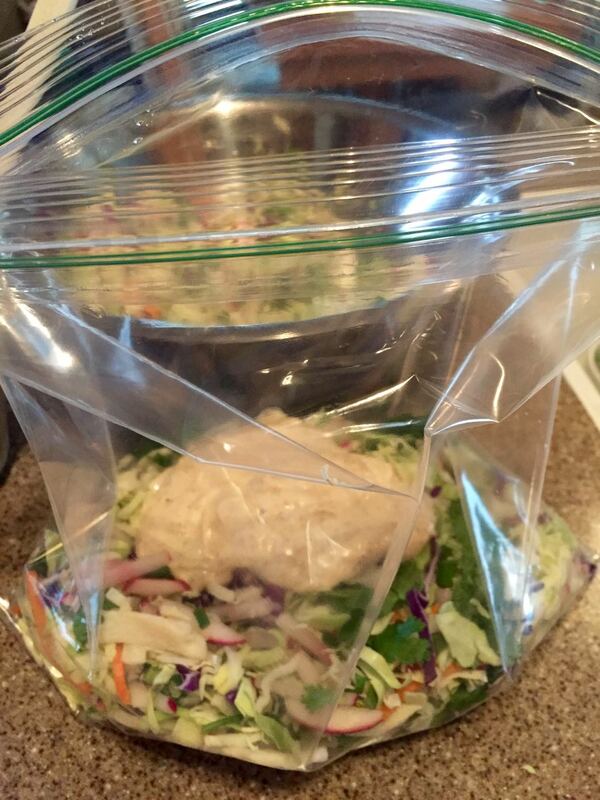 Or, how the zip-n-seal baggie saved Turkey Day. 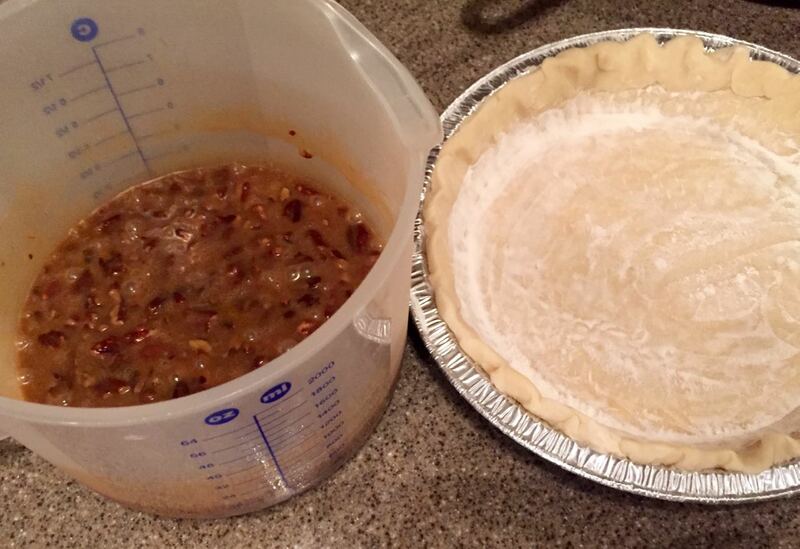 There be culinary challenges here, especially for holiday meals. A cooking girl’s gotta think outside the box that is her living quarters — and the even smaller box within that contains her kitchen — to make it all go down. This year, my folks are cooking the bird and a few side dishes at their house, which is where we’ll gather this afternoon with our younger son, my brother, his wife and my niece and nephew. More cooking, serving and seating space for the win! My assignments: two vegetables, rolls, and a pie. To appreciate how small my refrigerator is, go stand in front of yours. I’ll wait. You there? Good. Now open the door. Note shelves that appear between your knees and your chin. That’s all the vertical space I’ve got. We’re talking 8 cubic feet. 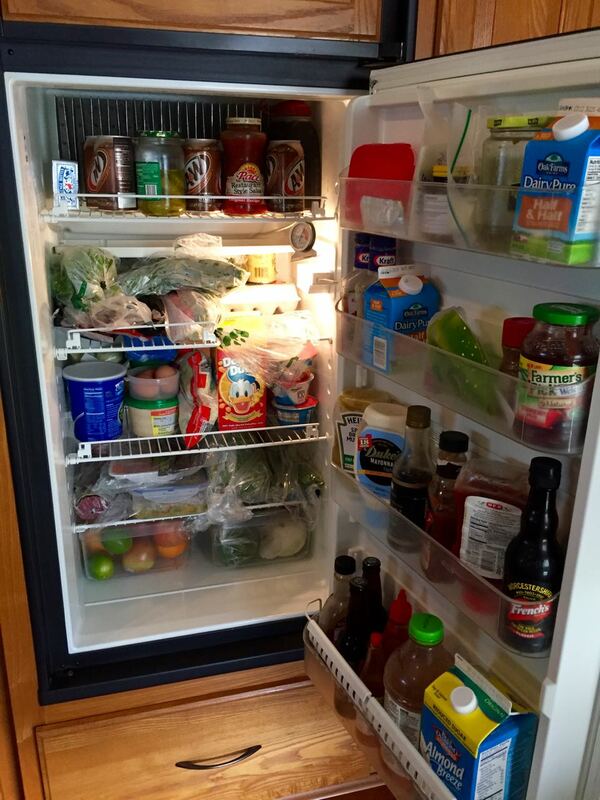 By comparison, a typical household refrigerator provides 18-26 cubic feet of storage space. But wait. It gets better. Now reach your arm in there and touch the back wall. Gotta lean in a little to make your fingers touch, yes? When I do that? My elbow rests just outside the front edge. That’s all the depth I’ve got. But here’s how I made this half-meal happen, using only a 3-burner cooktop, a microwave/convection oven, and a fridge that isn’t even deep enough to hold a serving bowl. In a traditional oven, this pie takes almost an hour to bake. 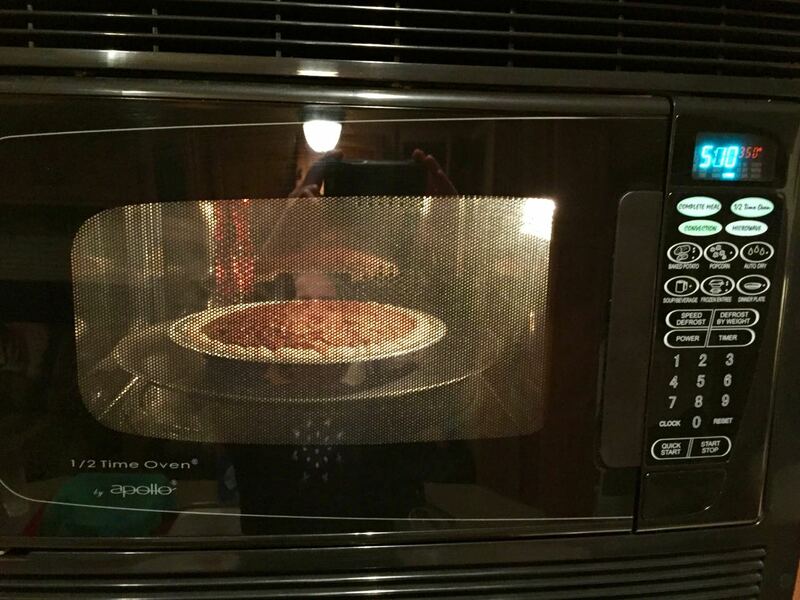 Here in my handy dandy half-time convection oven: 25 minutes. And the crust didn’t burn! Perfection. And no Karo syrup! 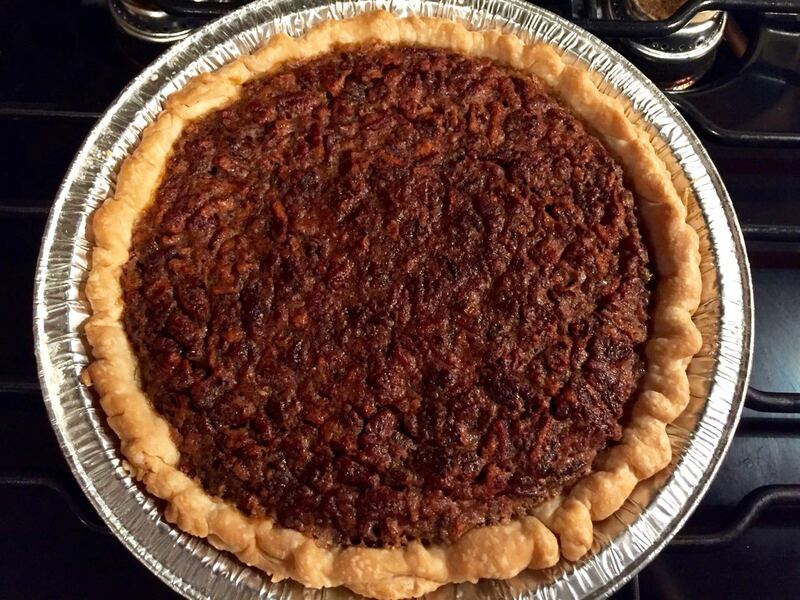 I used this recipe, with a few tweaks: omit white sugar; increase flour to 2 TBSP; increase pecans to 1.5 cups and lightly toast them first; flour both sides of crust to prevent sogginess. 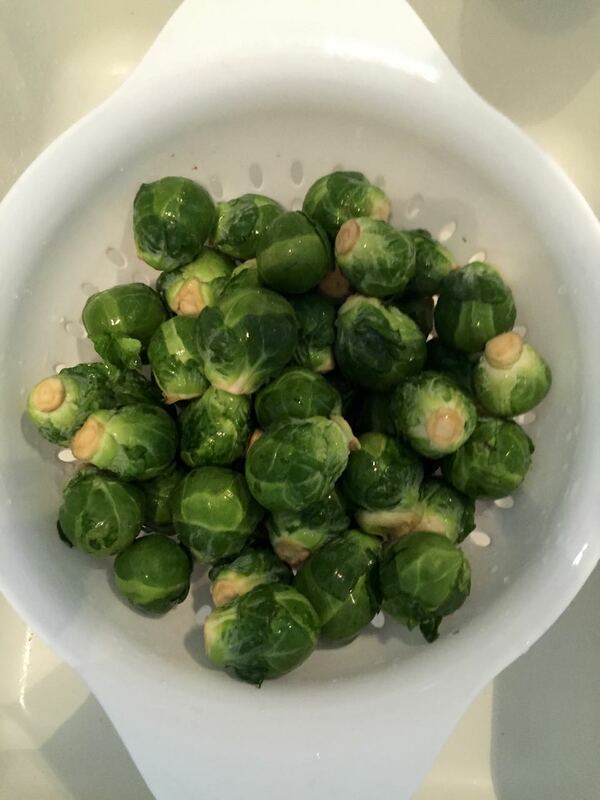 Brussels sprouts, all rinsed and ready to go Moroccan. Yes, the recipe is for Moroccan Carrot Salad. But Mom decided to make Copper Penny Carrots, so I just did a little produce switcheroo. 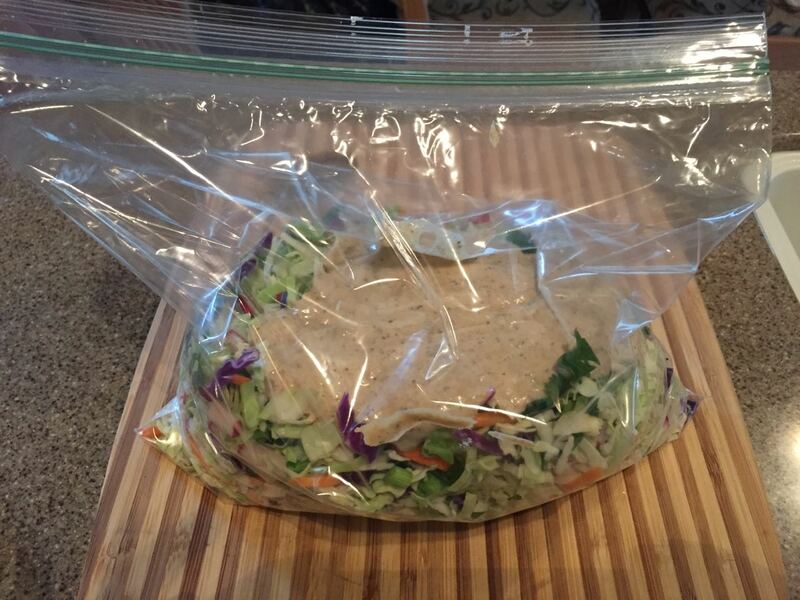 The cooked sprouts went into a storage bag and got a nice little shake-up with the marinade. And there they will stay, comfortably nestled in their teensy little space on the fridge shelf, until I get to Mom’s house and pour them into a nice serving dish. 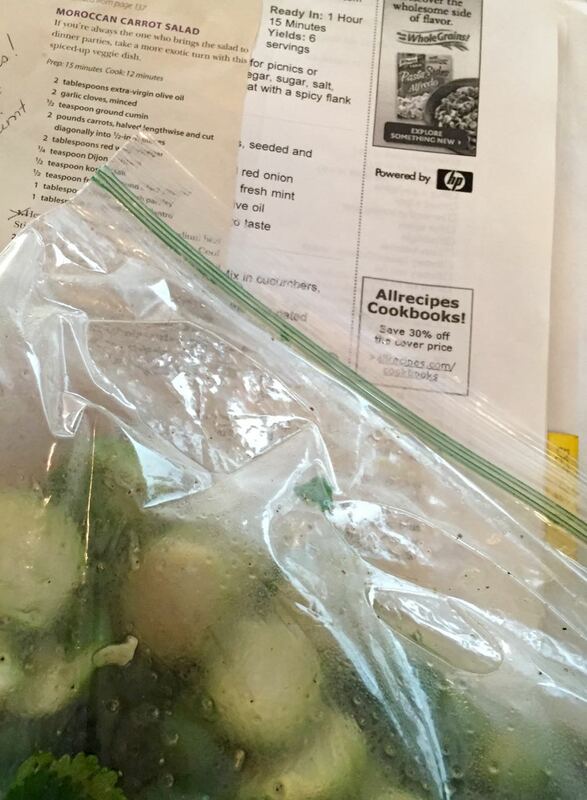 … and then zipped up the bag, did a little shaky-smooshy thing, and stored it right there in that narrow space between the Moroccan Brussels Sprouts and the Greek yogurt. That’s cooperation on an international level right there. 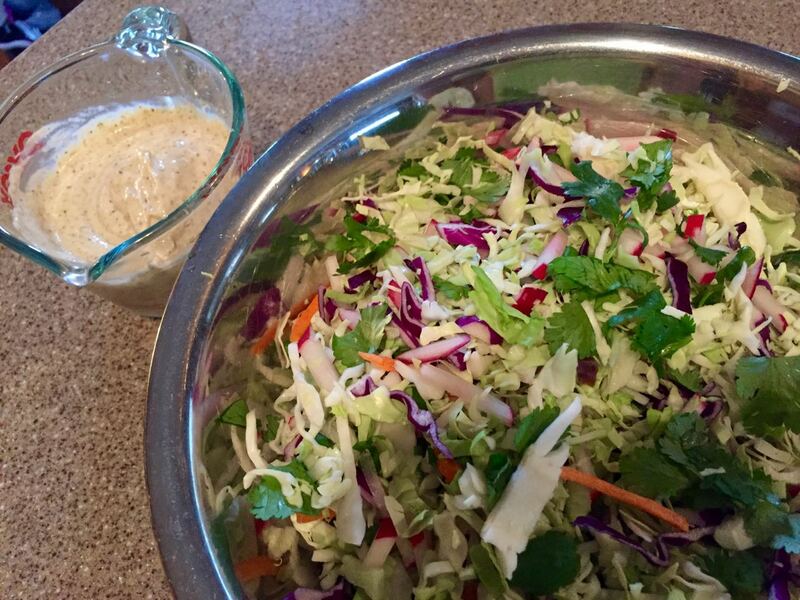 Two empty serving bowls — one for slaw, one for sprouts — are packed and ready to take to Mom’s house! 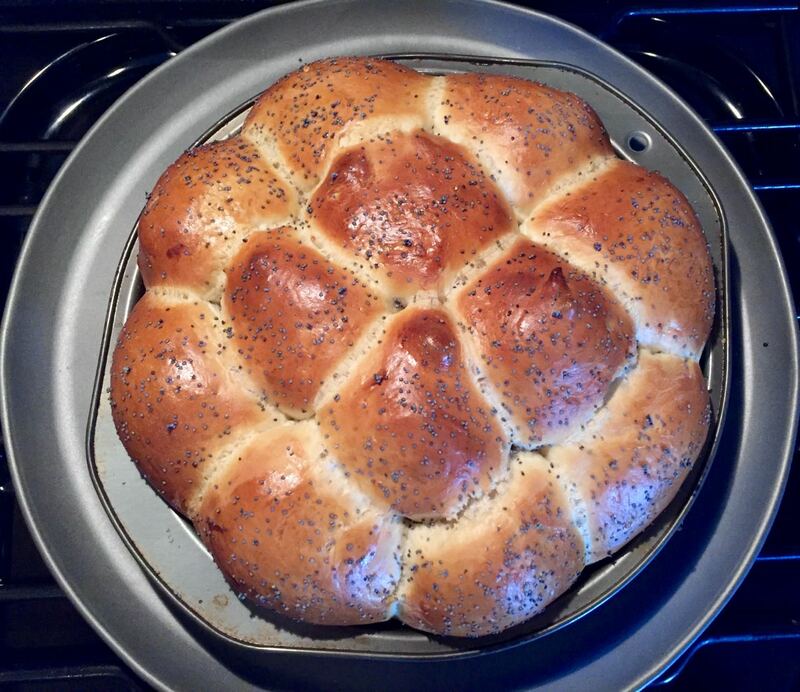 This is my challah dough recipe, and I used to make the traditional long braided loaf for our holiday gatherings, but neither my gas oven nor my convection oven are big enough to hold a standard cookie sheet, so now we get rolls. And yes, these too will go in a zippit bag for transport. Bonus: perfect size and heft for throwing across the table at cousins. 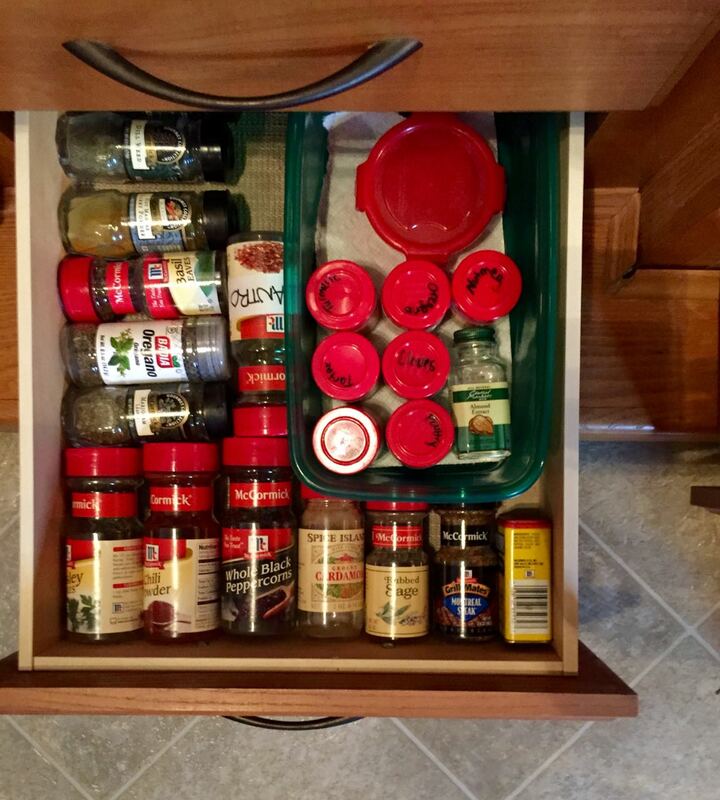 My favorite RV kitchen storage solution: keeping spices in a drawer. They slide around and topple over in a cabinet. And we need that space for cereal boxes and canned goods anyway. 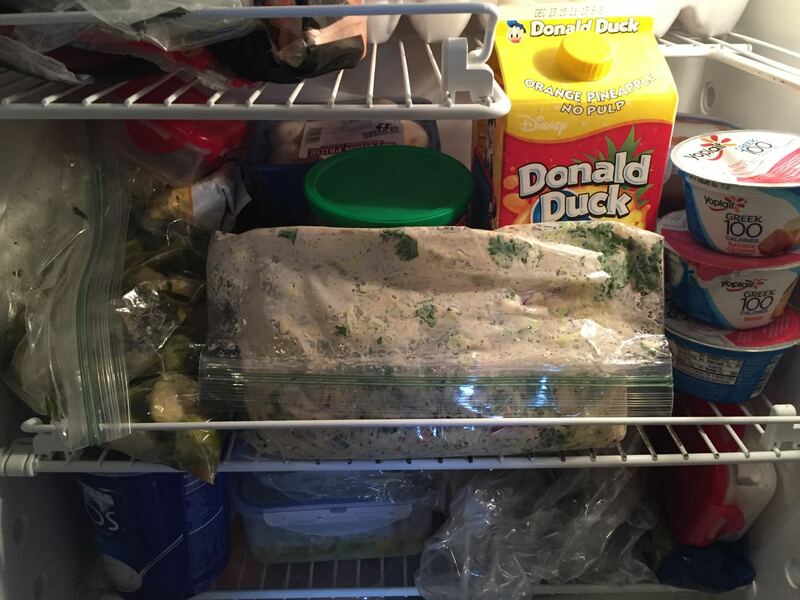 Just… don’t ask me how I’m gonna store our leftovers. That’s tomorrow’s challenge. Happy Thanksgiving to all, whether your space is large or small!